Today, a better customer experience can contribute to greater customer loyalty. 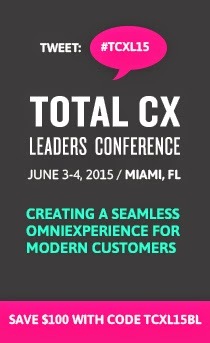 But how do you define a great customer experience (CX)? Steven Woods, Group Vice President and Software Development at Oracle, says it is based on two things: understanding a buyer well enough to know what they are interested in and then delivering this message. The CX should be a reflection of everything that makes up your brand – not just the products or services, but its attitudes, values and differentiation. In addition, Vice President of Customer Experience at Forrester Research Harley Manning says we can prove that CX correlates to loyalty. A CX correlates to willingness to consider for another purchase, willingness to recommend, and reluctance to switch providers. If you want good word-of-mouth, and if you want to keep your customers, it’s unlikely that anything else you do matters more than delivering a superior experience. Eighty-six percent of buyers will pay more for a better CX, but only 1 percent of customers feel that vendors meet their expectations. Forty percent of organizations cite ‘complexity’ as the greatest barrier to improving multichannel CX. Eighty-nine percent of consumers began doing business with a competitor following a poor CX. Customer power has grown as 73 percent of businesses trust recommendations, while only 19 percent trust direct mail. Eighty-six percent of customers will pay more for a better CX. Only 26 percent of companies have a developed strategy in place for improving CX. When asked what were the key drivers for a customer to spend more with a company 40 percent said improvement in the overall CX, and 35 percent said provide quick access to information and make it easier for customers to answer questions. CX is a high priority for consumers in a negative economy as 60 percent say they often pay more for a better experience. About 13 per cent of dissatisfied customers tell more than 20 people. The moral of these stats is the better the CX a company provides, the more likely customers are to purchase again and to recommend your company– and the less likely to go to a competitor.